Today I have some very unique polish from Dragon Lacquer (previously known as Dragon Lady Nails) to show you from their winter collection. 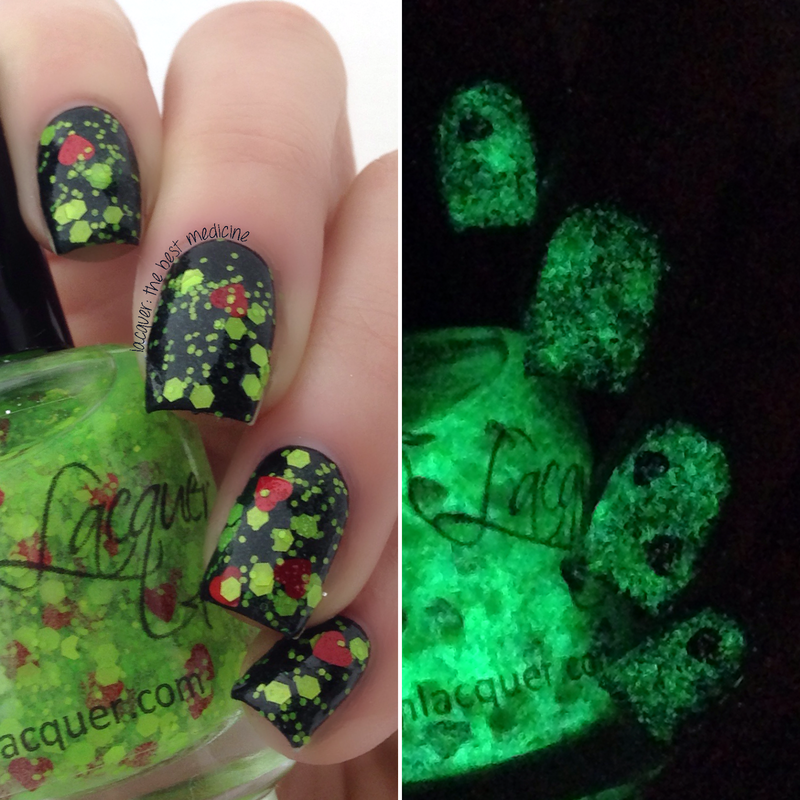 Dragon Lacquer polishes are not your typical girly polishes, with names like "Mmmm...Braaains!" and "Zombie Virus" (see my review of those here)... and I love them because of that! First up is Melted Snowmen. I am going to say right off the bat that the contents of this polish PERFECTLY captures the name of it. It has white hexes (the body), orange shred triangles (the carrot nose! ), tiny black glitters (mouth and eyes! ), and some tiny iridescent glitters (sparkling snow in the sun!). How perfect, right?! Swatches below show two coats of Melted Snowmen over gray (Priti NYC Italian Alder). Application was easy, and plenty of glitters came out with each dip of the brush. The other polish I have is GLOW IN THE DARK! I actually have reviewed another glow in the dark polish from Dragon Lacquer in the past, but I didn't realize it was glow in the dark until weeks after I wrote the review and swatches the polishes - LOL! This polish is called You're a Mean One... and it has neon green glitters in various sizes with some red hearts sprinkled in. I was so totally expecting to have to work to get the big heart glitters out, so imagine my surprise when I dipped the brush and three of them came out on my first try! Hats off to the master formulator for this polish... so easy to apply! Swatches show two coats of You're a Mean One... over black (Julep Cleopatra). That's all I have for today, folks! Love them both! There so fun! now i'm jealous: i want a glow in the dark too!!!! 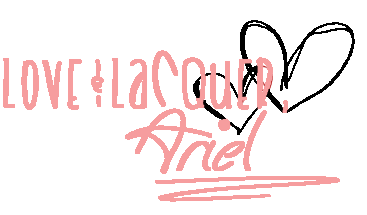 i subbed, i think you'll see me around from now on and hope you'll visit and join me too and become friends in lacquer haha. waiting for you, we could even swap links!